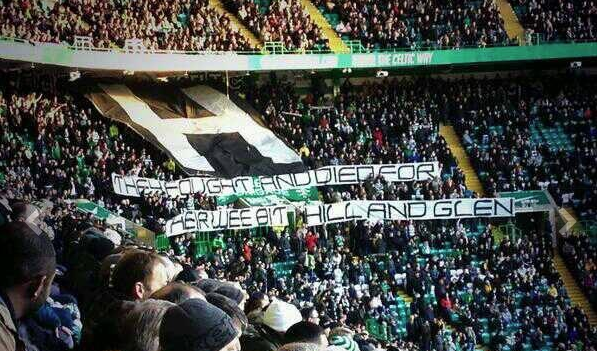 Celtic fans displayed a banner supporting the sectarian killers from the Provisional IRA at last weekends Scottish Premiership match against Aberdeen at Celtic Park . The H Blocks at HM Prison Maze was used to house paramilitary prisoners during the Northern Ireland troubles. The IRA killed more than 2000 people and injured many more during their campaign of sectarian violence.